On November 13, a series of terror attacks in the heart of Paris left at least 153 dead and paralyzed the French capital with fear. 200 people were wounded. From 8 to 10 extremists dead following the attack. Two suicide bombers detonated their explosives at locations near the Stade de France, where a soccer match between France and Germany was taking place. French President Francois Hollande was at the stadium at the time of the attack. Gunmen opened fire on a Cambodian restaurant in a drive-by shooting. 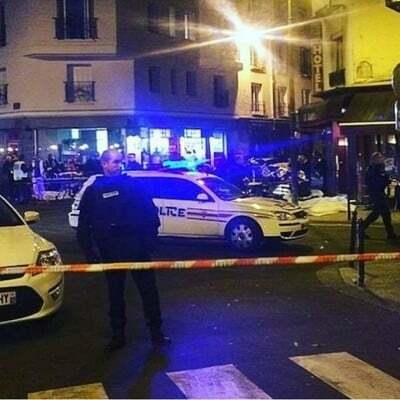 Shots were also fired at the Bataclan concert hall, where terrorists held up to 100 hostages. Then, gunmen also opened fire on Rue de Charonne. About an hour after the initial attacks, attacks by other terrorist cells took place at the Louvre and Les Halles. French President Francoise Hollande declared a national state of emergency and shut its borders. Special police units, including RAID, a police intervention unit, and French military have been rapidly mobilized and deployed in the Greater Paris area. When the Paris police stormed the Bataclan concert hall, three of the attackers were killed after letting off their suicide belts, while the fourth was shot and killed by police. According to media reports, over 100 people died and at least a dozen suffered injuries as a result of the siege. On Saturday, Paris closed down its public spaces in response to terror attacks. Though shocking, the attacks are not completely surprising. Multiple individuals from France and other European countries have joined terrorist groups to Syria and Iraq. The attacks have demonstrated there is a constant risk of terrorist attacks within Europe. The Friday’s carnage was likely well coordinated and planned. Thus, the attackers could receive instruction or assistance from groups such as ISIS or al Qaeda. Furthermore, the recent migration crisis in Europe highlights the risk that jihadist groups could have placed some of their members among the large refugee flow to conduct attacks in Europe. From a social perspective, the attacks could lead to rising domestic tensions between French nationals and migrants. Just hours after the Friday attacks, a huge fire broke out at the ‘Jungle’ refugee camp near the French port of Calais. The origin of the fire is unknown. No deaths were reported. With the media largely focusing on the Paris attacks, this tragic event has not been the object of significant news coverage.